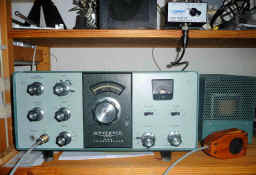 One I sold on display at the buyer's station. 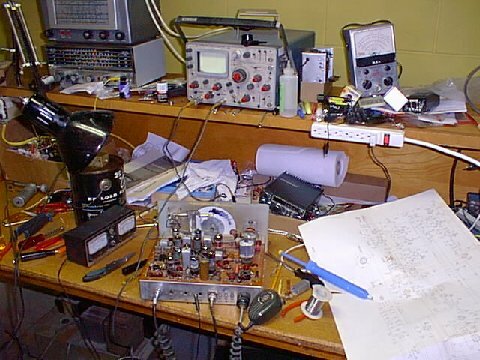 K9YLI's HW-12 undergoing some tests. 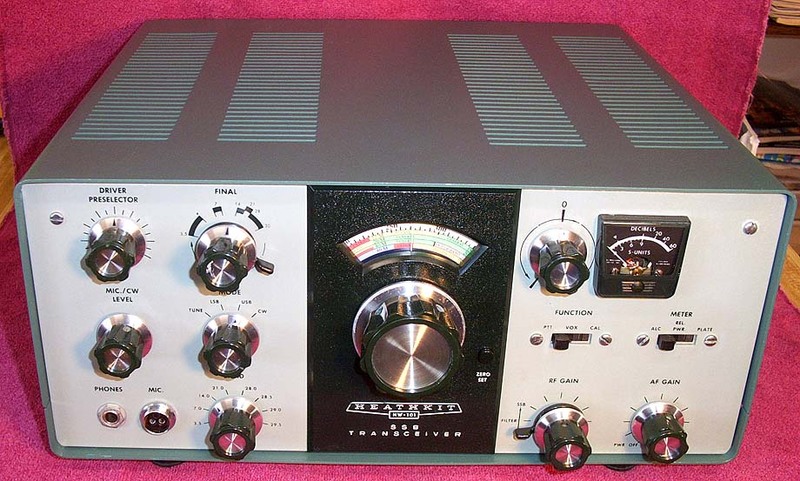 K9PLM's modified HW-100 with the HW-101 color dial. 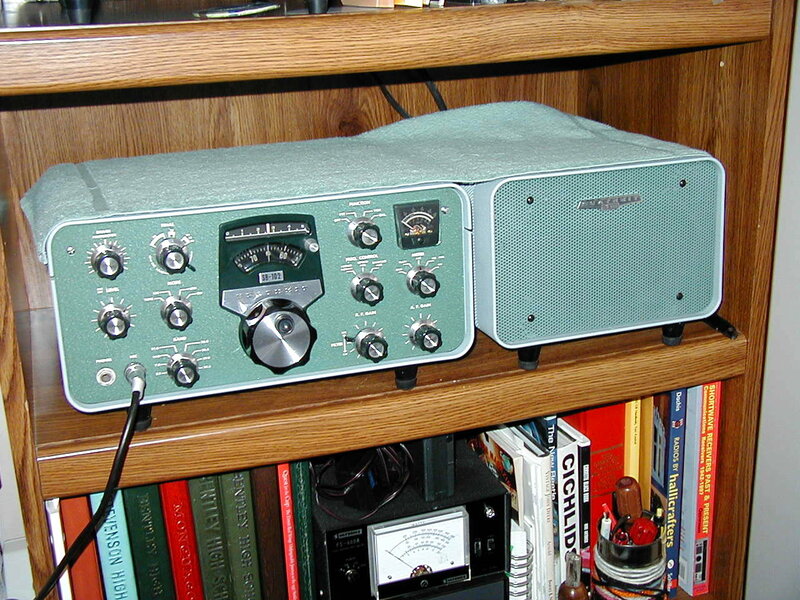 Very nice SB-102 & Spkr. 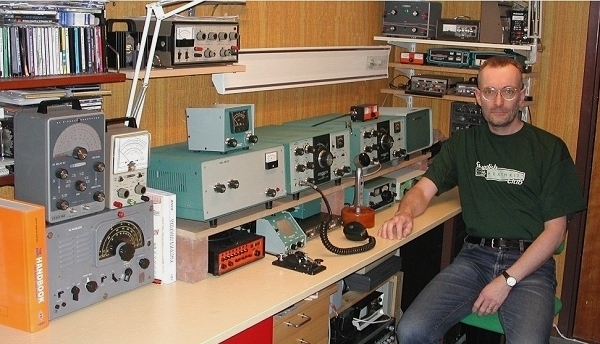 Peo, SA5BCT, and his big collection in Sweden. 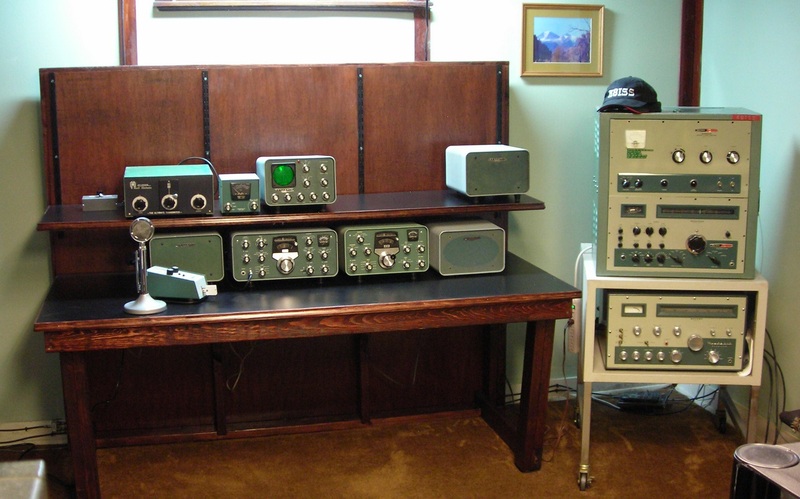 W9RDW and his great Heathkit collection. 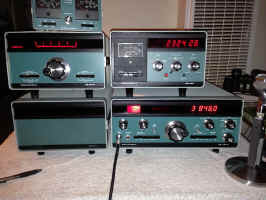 Nice Cheyenne and Comanche pair of Carl, W5SU. 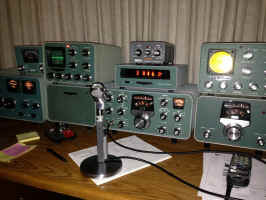 Eric, AC5CW, just got his DX-35 and operates CW. 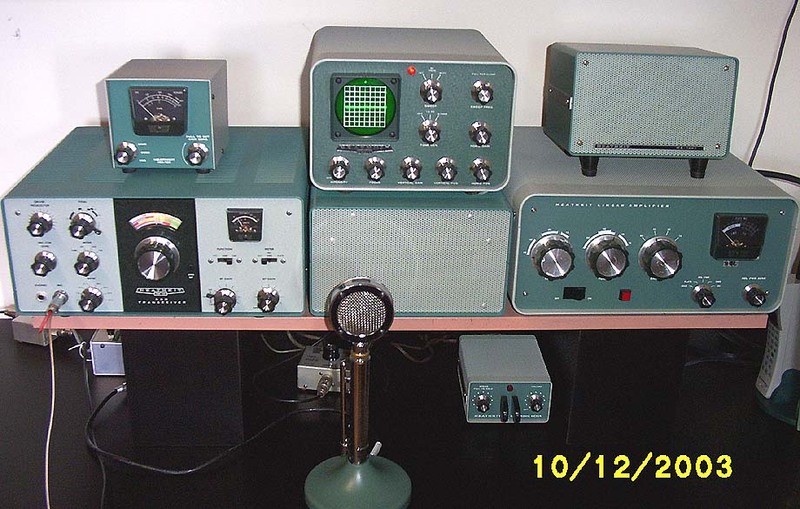 Nice collection by VE6CN, a big Heathkit fan. 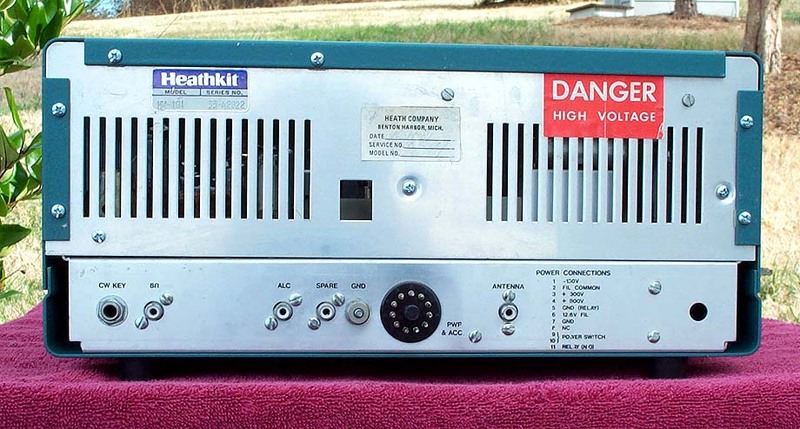 More VE6CN Heathkits. 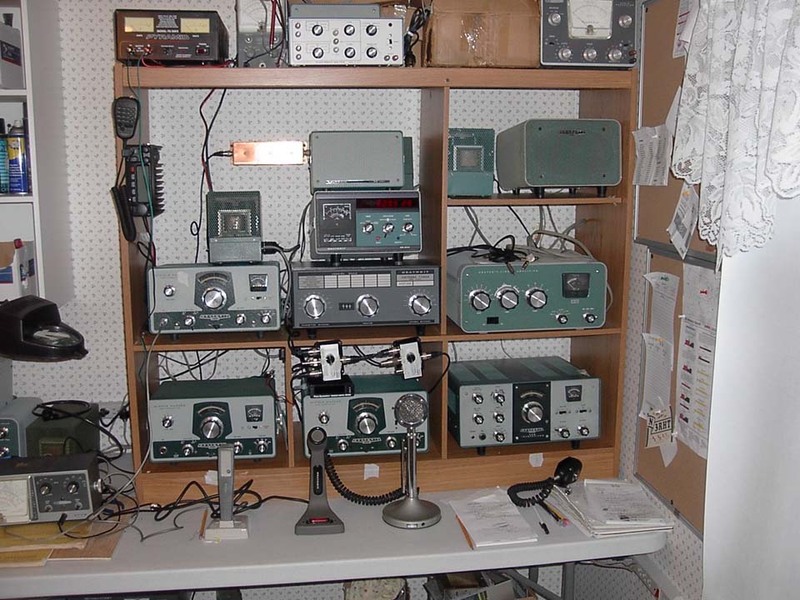 Antenna is on his 96' tower. 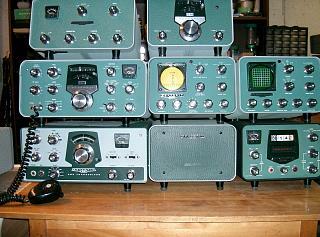 Bob, K8RAF, has a big Heathkit collection. 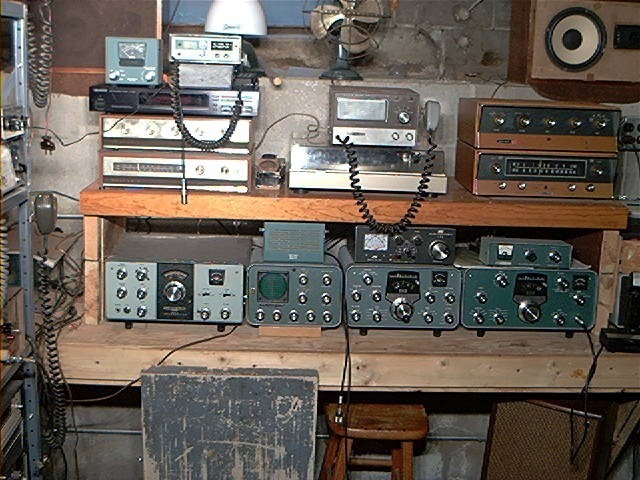 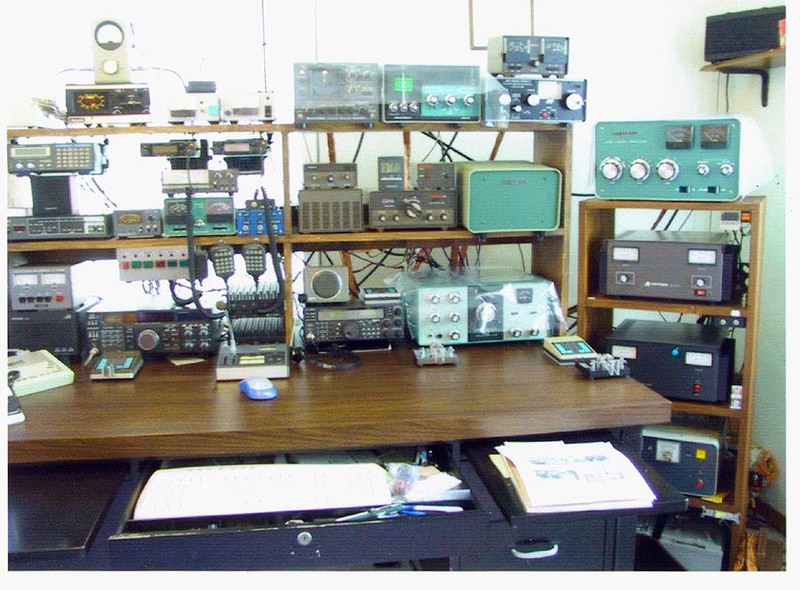 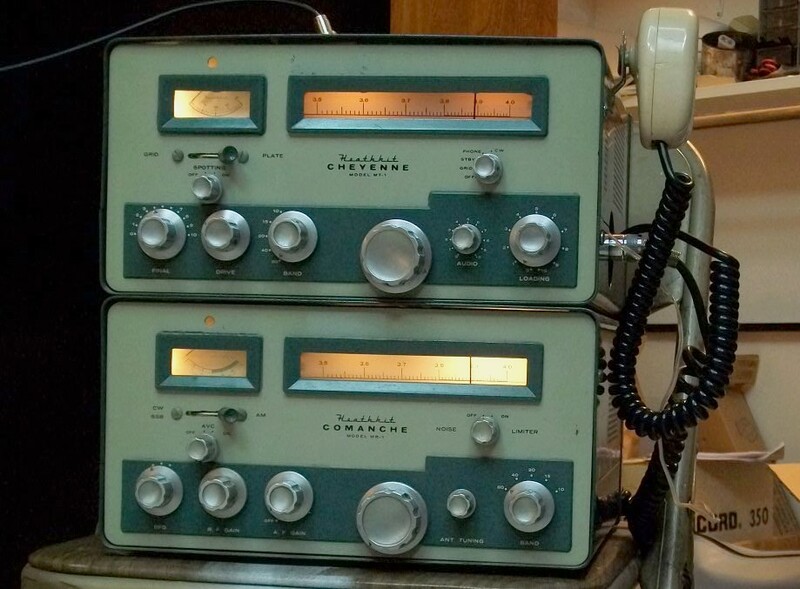 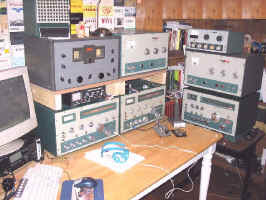 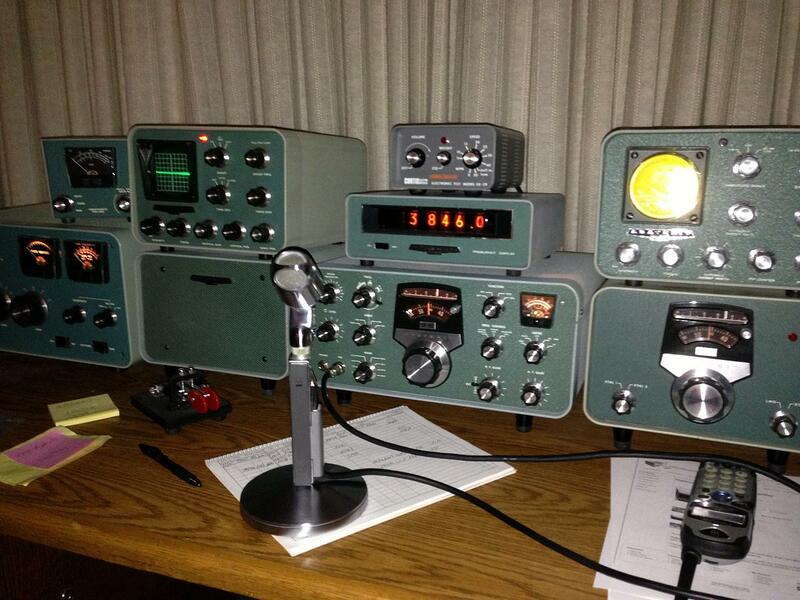 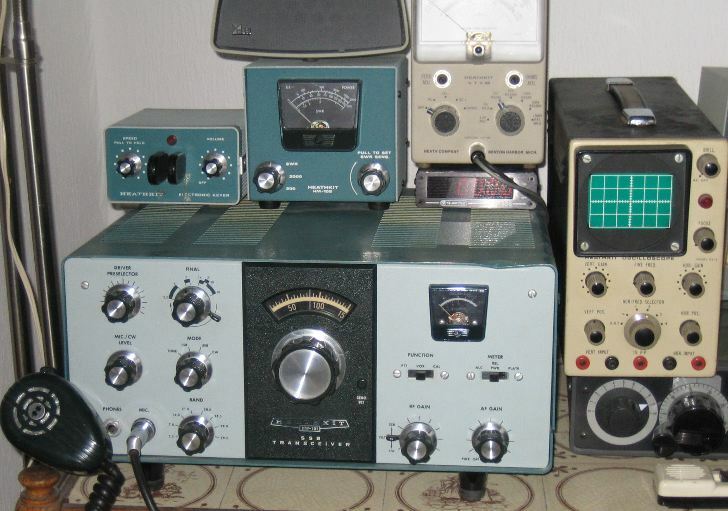 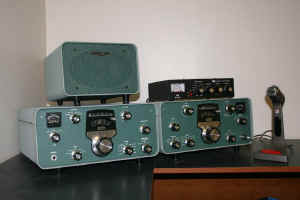 Craig, WA6EKP, has a large Heathkit collection. 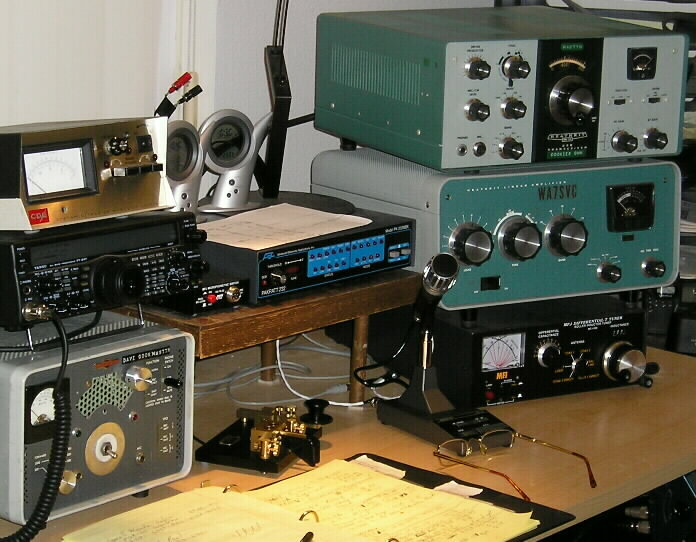 Ray WB2EOD and XYL KC2THQ have this nice and fully functional station. 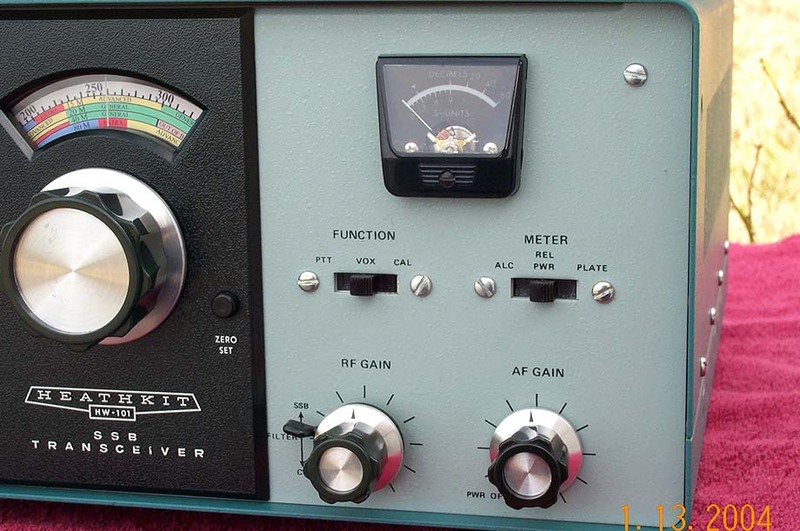 Bob, WB8CAC, has a nice collection of these Heathkit heavy weights (boat anchors) in the NC mountains. 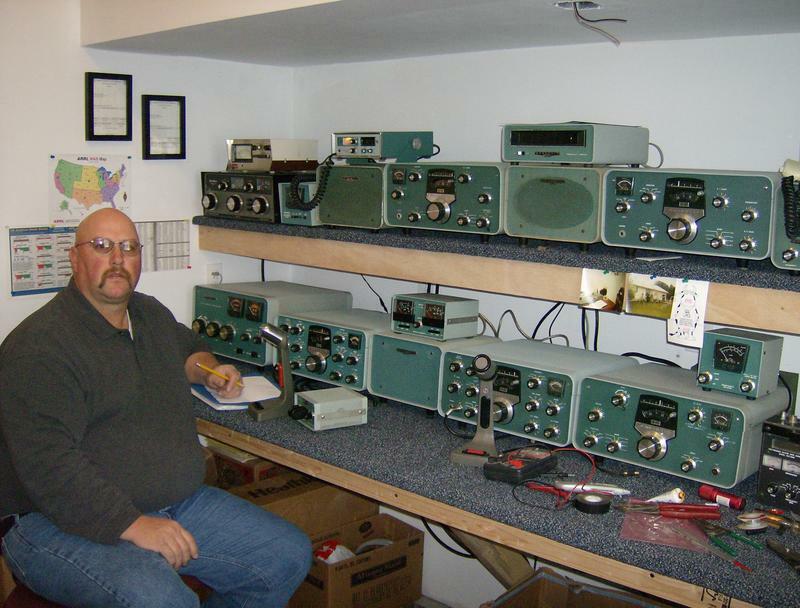 Gary, KD8SAV, operates his HW-101 on CW and has earned many certficates through this station. 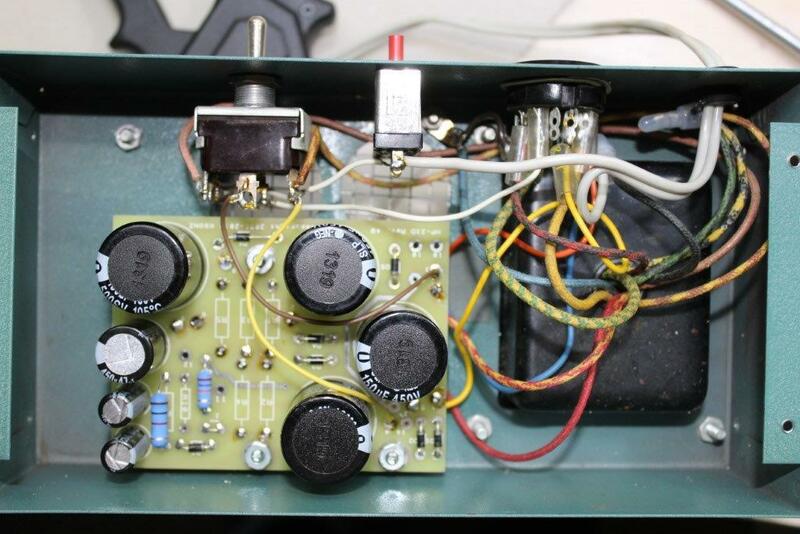 Carlo, IZ4SJP, has a neat wooden mic on his HW-101 that he made. 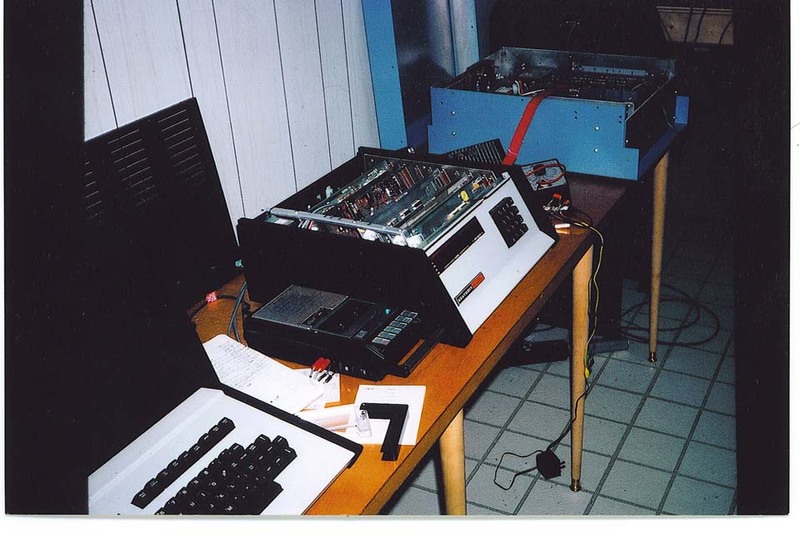 of installing a HP-23D kit into his HP-23B. 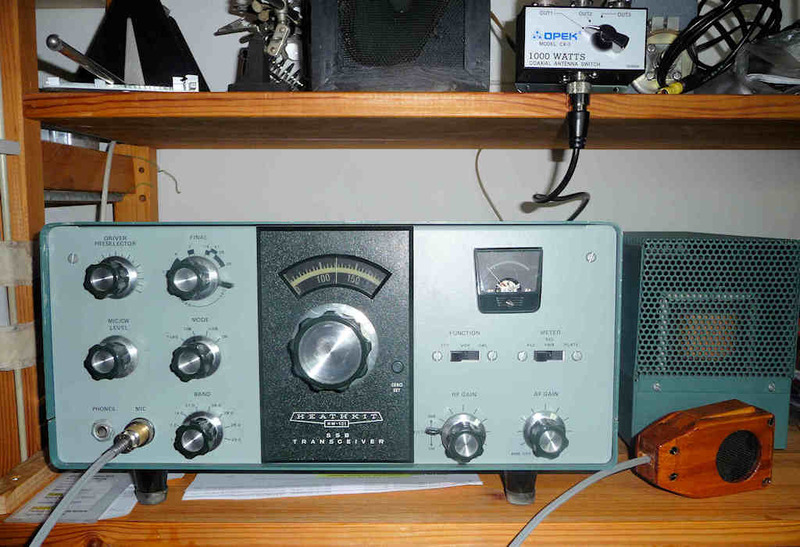 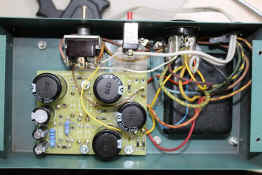 Ron, K4MMT, built this HW-12A in 1970 and it still works fine. 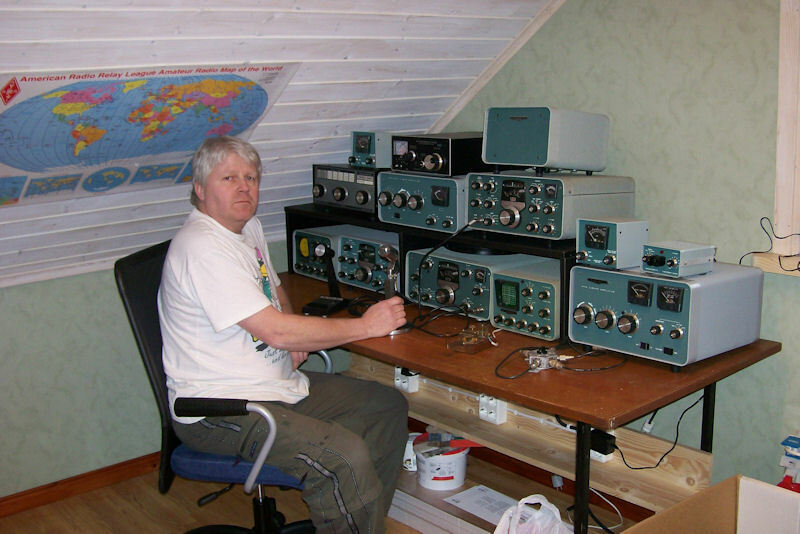 Gary, KD8SAV, has worked DXCC and WAS with his nice HW-101. 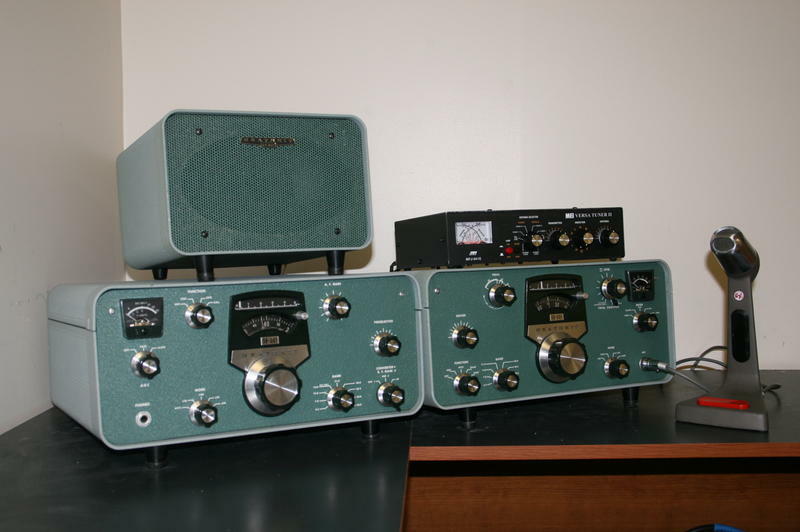 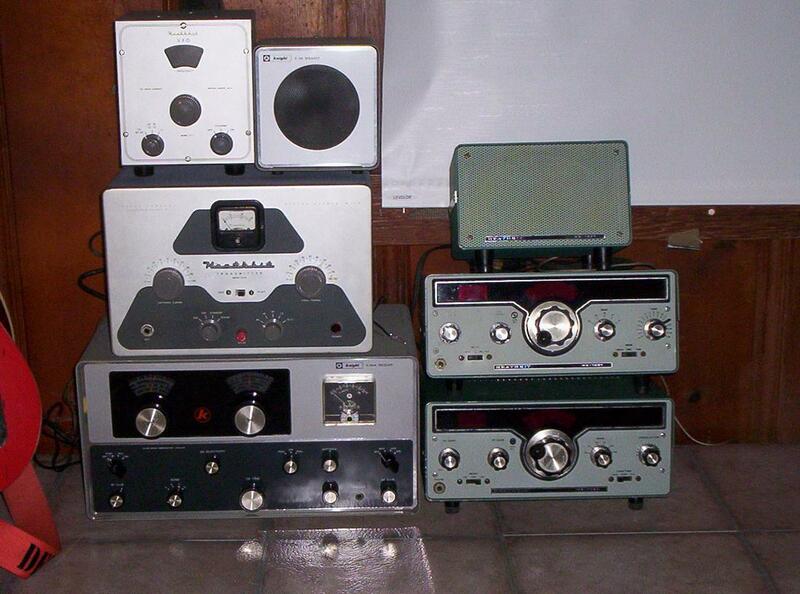 John, K8ISS, keeps adding to this nice Heathkit collection. 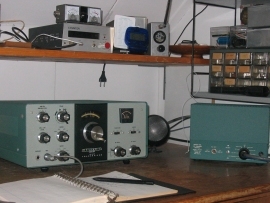 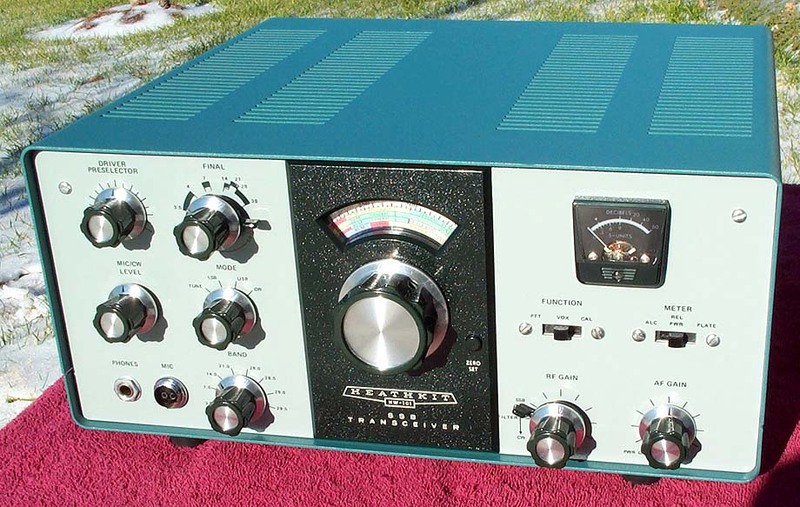 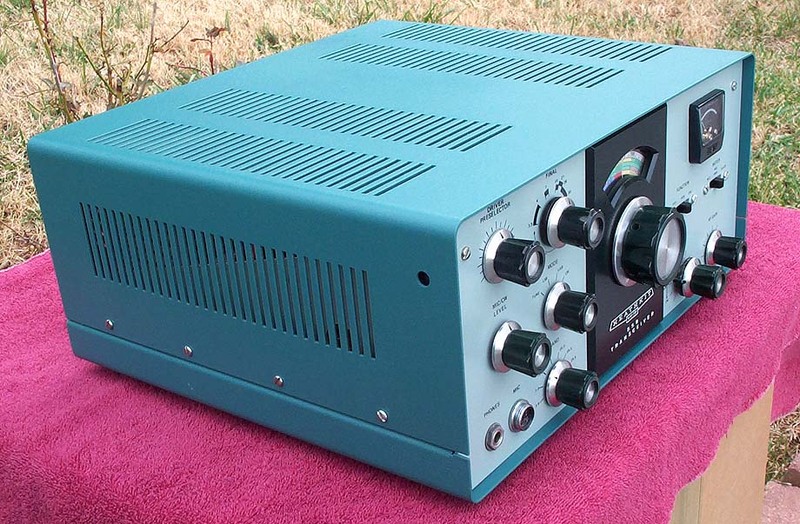 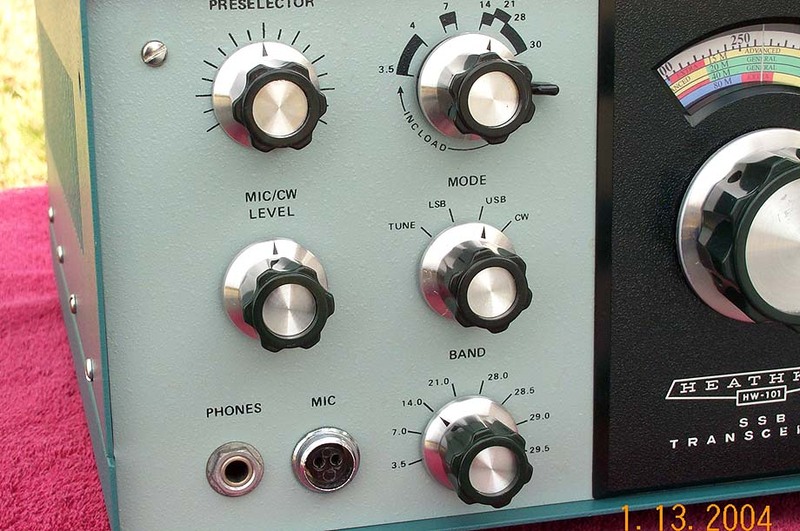 * Send me a picture of your rig, station, and/or other Heathkit amateur gear and I'll include it here. Click email and attach your picture.